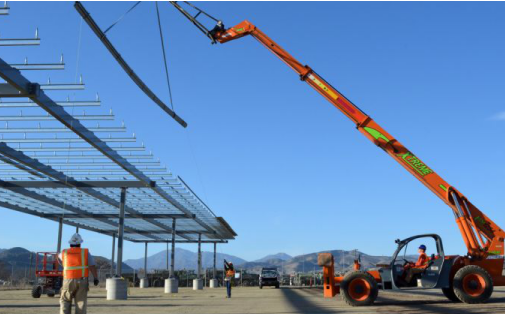 Can big money help standardize microgrid development? Most companies have a hard time coming up with the upfront cash to build a microgrid, and financing one can be a major headache. Theoretically, that headache would go away if an entity with functionally unlimited capital bought the project and operated it on behalf of the customer in exchange for service payments. The Carlyle Group, the Washington, D.C.-based private equity behemoth, set up a business unit last fall to do just that. Dynamic Energy Networks (DEN) will deploy Carlyle capital to create microgrids, then operate them in an energy-as-a-service model for long-term contracts. This model has been deployed in a few instances already; it eliminates upfront capital requirements and caters to customers that want cleaner or more reliable power but don't want to be in the energy asset management business. But up until now, nobody has funded the model at this scale. Carlyle has set aside an initial pot of $500 million, but DEN President and CEO Karen Morgan said at DistribuTech Wednesday, "There is no cap on that." This entrance is a big deal in the hardscrabble world of microgrid development. Large corporate and municipal customers want the resilience and environmental benefits that microgrids can provide, but nobody's cracked the code on how to make it cost-effective at scale. No one with this much money has given it a serious try. Carlyle's interest may prompt other private equity firms to consider microgrids as an investment vehicle. DEN approaches its work more like an equity investor than an energy services company. That gives it a high degree of flexibility in shaping its deals compared to, say, a utility. DEN plans to focus on new builds, primarily behind the meter, but it can buy existing assets or renovate them if a good opportunity arises. A key hurdle to the fledgling microgrid industry has been lack of repeatability, which drives up costs. The scale of funding here opens up the possibility of enterprise-wide microgrid contracts and other forms of big thinking. Indeed, the leadership won't be interested in small one-offs, a category that describes nearly every microgrid built so far. "A lot of assets have been sold at the facility level; this is really a C-suite solution," said Morgan, who previously led Renewable Energy Trust Capital, which owned utility-scale wind and solar. C-suites might be easier to access when the firms involved share the same parent company. Carlyle owns some 270 portfolio companies and manages $40 billion of real assets including energy, infrastructure and real estate. DEN could easily keep itself busy catering to that market. "It is a clear differentiated advantage, and it's something that we're leveraging significantly," Morgan said of the relationship with Carlyle. The group hasn't announced any projects yet, but several are in the works. Once they get finalized, DEN won't be the developer, but it will have input, Morgan said. DEN will work with a handful of best-in-class EPCs to build projects, and has a partnership with Schneider Electric for microgrid controls. That firm was an early pioneer of the microgrid-as-service model in its work with Duke Energy. If all goes according to plan, DEN would resemble an independent power producer, getting paid for electrons flowing from its fleet of generators, which happen to be located inside microgrids. That platform will be worth $3 billion to $5 billion in the next three to five years, Morgan said. "The complexity around microgrids and energy infrastructure, particularly behind the meter, is what is very compelling to us, because there's a lot of value that's created in delivering those integrated solutions," she said. "That's where we can capture more value: We're efficient in how we execute, from a capital perspective as well as technology and partnering perspective." Extracting profit from microgrids has proven notoriously difficult so far. Perhaps the early entrants just weren't thinking big enough. It's a lot easier to play the long game when you have a few hundred million dollars to spend.